One of the most influential actor and director of Indian films, Raj Kapoor had a master?s touch for successfully incorporating music into his movies. Utilizing the talents of playback singer Mukesh, Kapoor combined the musical traditions of India with Western influences. He also had a strong sense of visual style. He used striking visual compositions, elaborate sets, and dramatic lighting to complete the mood set by the music. True, the various composers gave music in his films, but it was Raj Kapoor who gave direction to that music. Raj Kapoor in his unigue way changed the entire tone and tenor of a tune by the time the final score was okayed. 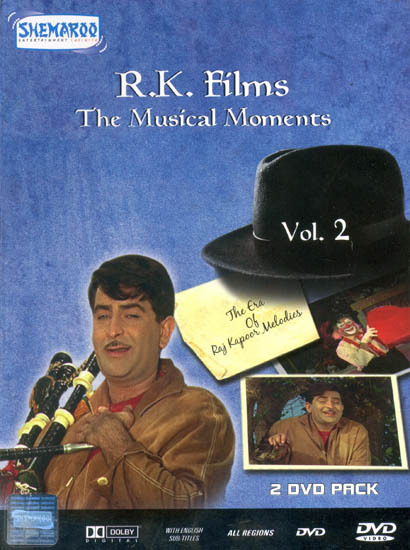 When Lata Mangeshkar remarked that Raj Kapoor gave all music in RK movies, she was speaking of the wholesale changes Raj Kapoor carried out in any tune composed before she came to sing it. To this day, Raj Kapoor, the actor, is remembered for his familiar pleading voice, a half-smile and a hand raised in half-salute, walking with Japanese shoes, wearing frayed English patloons, and his made-in-India heart filled with love and unbridled optimism. Whatever he was at heart he always remained a fanatic lover. His life can be summed up in the lines he sang in ?Awara? ?Yeh dil jo jala ek aag lagi Aasoon jo bahe barsaat hui Baadal ki tarah awara the hum Rote bhi rahe hanste bhi rahe? His smiles and sorrows found expression in music ? music that could be sung and remembered by common men.